OPEN HOUSE # 1 Sunday Sept 16 @ 12 - 2 P.M. Enjoy Flexible living arrangements with this two level, 10 room, 5 bed, 2 bath newly updated mid century ranch home. The main level features an open plan kitchen/living dining area with abundant sunlight, an updated full bath & 2 or 3 bedrooms with fresh paint & new vinyl flooring. Descend half a flight down to your laundry room and back yard... Step down another half flight for the lower level "in-law apartment*" (see disclosures) with 2 additional bedrooms and another open plan kitchen/dining/living area. Lovely exterior patio and private, fully fenced back yard featuring fruit trees, lawn and garden areas as well as two storage sheds. Off street parking for 3 cars. 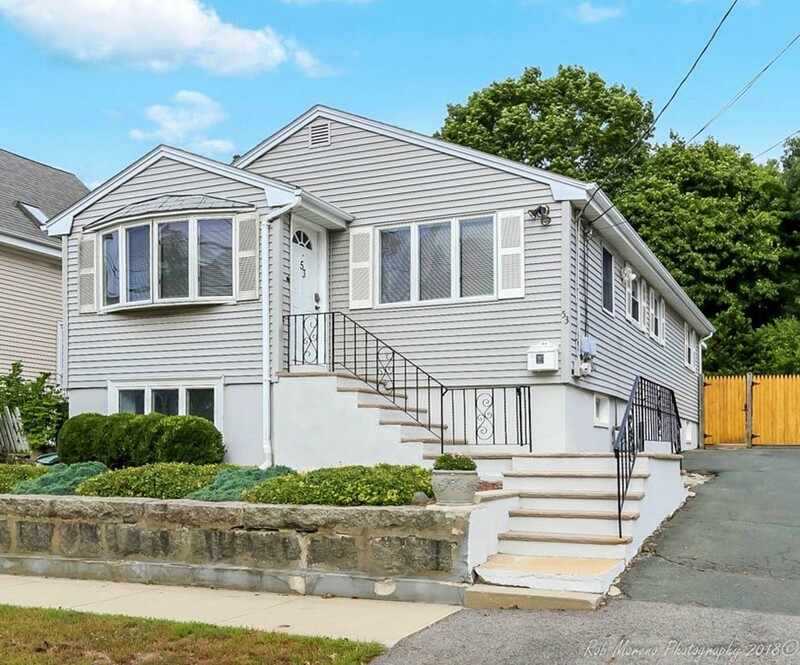 Close to area amenities, North Shore and Liberty Tree Malls and Rt 128. Offers, if any, due by Monday, 9/17 at 5:00 PM.